It happens every year. The calendar says April and two events immediately spring (pun intended) into focus. 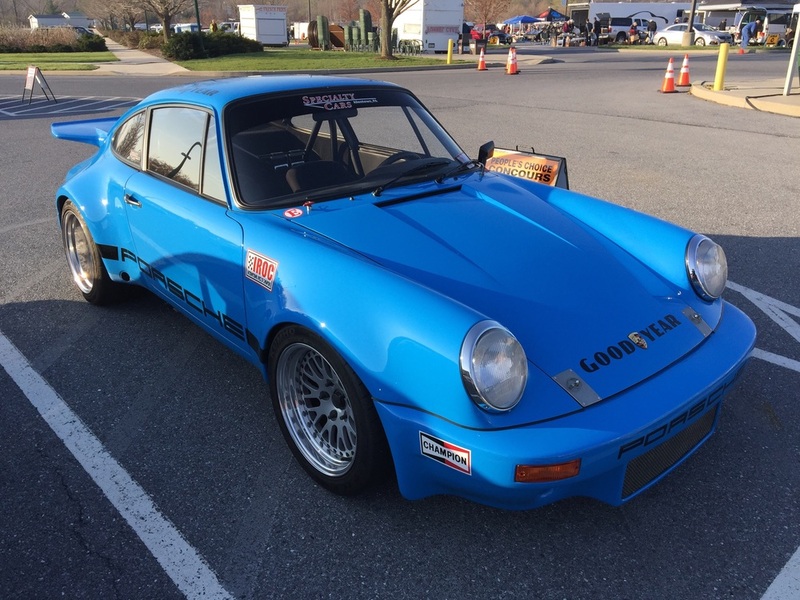 The first this year is the Hershey Porsche Swap Meet. It landed early in the month, which meant that we were caught off guard with preparations. Well..... actually... We are always caught off guard, but this year it sounds more plausible. The combing of the basement, and the sorting of the parts was not completed. The cleaning of the car was not completed. This was no way to begin a pilgrimage. But it happens every year (see Hounds of the Basketweave or Hooked on Hershey). The typical pilgrimage begins with an awakening at zero dark thirty. This is followed by a hurried spate of last minute loading up and then a departure to meet fellow pilgrims, get coffee, drive a couple hours, and get to the gates of the temple before opening time. So there we were, sitting in a long line of vehicles with engines turned off, watching the sky go from black to grey to the lightest shade of blue. And then the gates opened, and in we swarmed like locusts upon a leafy crop. Some selling, some buying, some finding their sacred place. The day is long, but the bargains go early. Best to sprint around and cover all bases, then make additional laps at an increasingly more leisurely pace. A Half hour after opening, buyers are returning to their cars to unload precious purchases. A set of 1971 Fuchs, or a 2.0 motor for a 914, or a 924 steering wheel. Others are pulling Radio Flyer wagons with a few choice items on board. 356 bee hive turn signal lenses, and triple Webers in need of a full rebuild. As things brighten up and warm up, it becomes apparent that this is going to be a perfect spring day. You can tell because the cabriolets start to arrive in the Concours area, and the Targa tops come off. The early devout pilgrims give way to those that stopped for a decent breakfast or just slept until a decent hour. A school of 928s (they are sharks after all) roll in, and the non-show Porsche only parking lot begins to fill up and wrap around the event. If you needed to see an example just like yours, or just like yours was, or just like yours wants to be, this is the place. If you are looking for Porsche unobtainium, this is the place. If you are looking for new old stock, or a superior modern version without the flaws, this is the place. 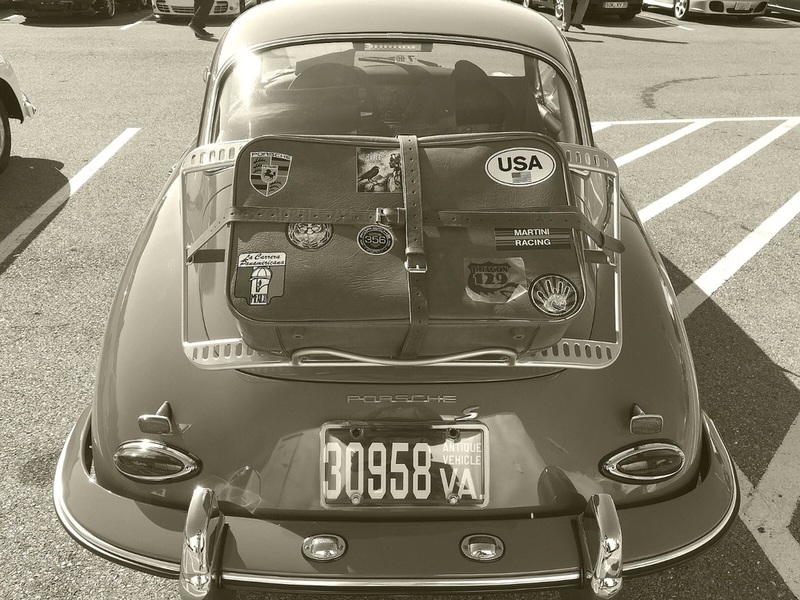 If you want to gauge the price of almost any model of vintage Porsche this is the place. If you think you know what you are talking about and want to be tested, this is the place. If you just want to wander around looking at 900 or so of the world's most iconic and beautiful cars, this is the place. And then somewhere around 3pm, Porsche city begins to clear just as fast as it appeared. Tents come down, trailers get packed, cars head out, and suddenly, it is a mostly empty giant parking lot again. We head off for a bite and a beer and swap stories about the deals and the rare finds, and the ones that got away. But one thing is not in doubt, we will make this pilgrimage again next year.